Congresswoman Alexandria Ocasio-Cortez proposed Feb. 7 the Green New Deal, a progressive resolution that pushes reform for climate change in an effort that she said is to create jobs and add balance to the economy. Ocasio-Cortez’s first piece of legislation is co-sponsored by Sen. Edward J. Markey (D-Massachusetts) and highly supported by retired Senate members. 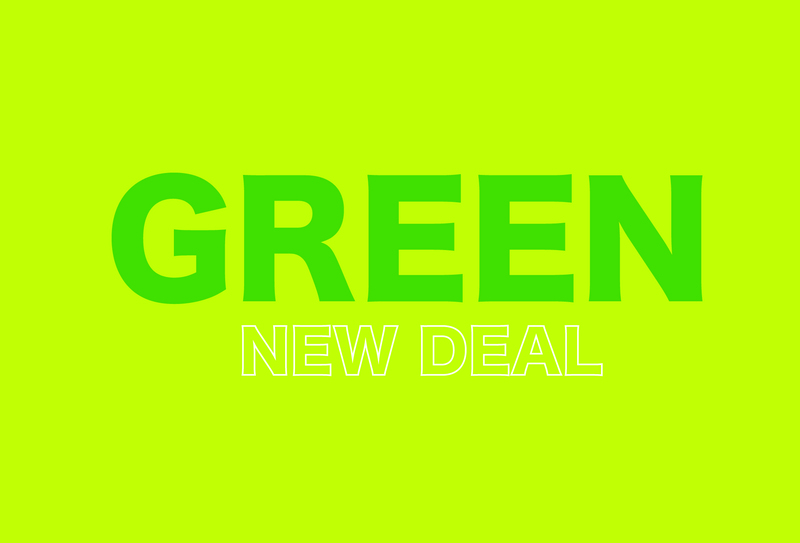 If enacted, the Green New Deal will require an estimated $93 trillion and will be executed over a 10-year period. The 14-page resolution discusses issues surrounding fires, droughts, rising sea levels, violent storms, famine and mass migration. The proposal will also seek to bring greenhouse gas emissions to zero and replace 100 percent of energy needs with renewable sources. “Today is the day that we truly embark on a comprehensive agenda of economic, social and racial justice in the United States of America,” said Ocasio-Cortez at a press conference for the new resolution. “That’s what this agenda is all about. Because climate change and our environmental changes are one of the biggest existential threats to our way of life-—not just as a nation but as a world. She added that the bold and non-binding resolution will also seek to create jobs and push for equality in the workspace. Other highlights include providing healthcare to more people, ensuring justice for minorities and helping communities struggling with poverty. Dr. Christopher McHorney, department chair of History and Government at California Baptist University, said the proposed resolution is unlikely to pass. “The Green New Deal will not impact our economy as the resolution is very aspirational but will never be passed by Congress,” McHorney said. “The resolution includes many goals that will be popular among voters, such as the creation of ‘millions of good, high-wage jobs’ and the provision of ‘high-quality healthcare’ for all Americans. The Green New Deal reportedly attempts to address global warming and income inequality, which are issues that are highly relevant for Democrats. Marlena Muro, freshman film major, said the Green New Deal is socialism disguised as a way to solve the issue of climate change. In contrast, Aaren Villela, freshman business administration major, said she thinks the Green New Deal is an excellent opportunity to get things on the right track. “It is something that the U.S. can achieve and we must lead the fight against climate change,” Villela said. The Green New Deal has been called a “Communist economic doctrine” by many Republicans. It is backed by many Democratic senators and House members, including 2020 presidential contenders Bernie Sanders, Elizabeth Warren, Amy Klobuchar, Kamala Harris, Kirsten Gillibrand, Cory Booker and Julian Castro. Ocasio-Cortez and her efforts with the Green New Deal are just one example of the Democratic party’s new agenda.